Why Did God Let That Child Die? by Clay Jones is one of the most popular articles ever published in the Christian Research Journal. We have no doubt that it was popular because the topic of theodicy is difficult for many to comprehend. 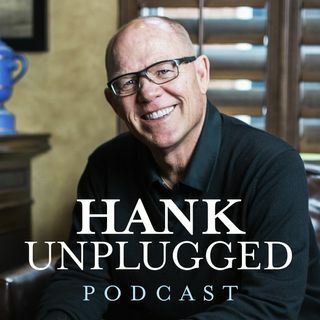 For that precise reason we are bringing you an encore edition of this critical conversation between Hank and Clay Jones, associate professor of Christian Apologetics at Biola University and one of the pre-eminent scholars on the issue of theodicy. If you’ve ever ... See More wondered why God allows sin and suffering, this is a can’t miss conversation. Topics discussed include: why does God allow evil? (3:30); why did God let that child die? (5:30); why it’s hard to reconcile determinism and theodicy (9:00); why do people want determinism to be true? (14:30); how God uses suffering (19:30); why do bad things happen to good people? (27:00); transgenderism as child abuse (36:00); the Christian Research Journal article “Killing the Canaanites” (42:00); what difference does belief in original sin make? (48:30); why people who think heaven will be boring are wrong (51:00); the importance of making our lives on Earth count (57:30); what does God want our legacy on Earth to be? (1:01:30); finding ways to be useful to God (1:04:30).